Walter Kirn is the regular book reviewer for New York magazine and a contributing editor to Time. He is the author of two previous works of fiction, My Hard Bargain and She Needed Me. A graduate of Princeton University and the University of Oxford, he lives in Livingston, Montana. Portions of Thumbsucker have appeared in Esquire, GQ, and The New Yorker. 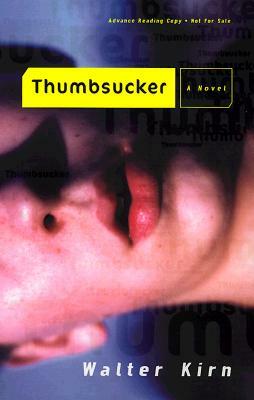 "Thumbsucker is funny, scary, sharp, smooth, and (in a provocative sense) clean. If there were more of this kind of thing around, you could get addicted to it." --Roy Blount, Jr.